Most imported goods are subject to Australian Customs duties and 10% goods service tax. There are many different regulations and sometimes complex duty rates applicable to imported cargo. For this reason we recommend you speak to one of our World Wide consultants in person or contact a qualified licensed customs broker. To use the Import Duty & Gst Calculator .Just enter the value of your goods, freight and insurance costs to calculate your Customs Duty & Import Goods & Service Tax liability amounts. 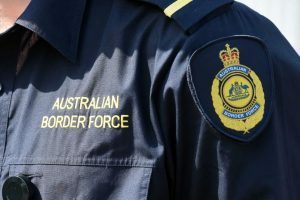 Goods with a value under of a$1000 (except goods that arrive by post) are cleared from Customs and Border Protection by submitting a SAC declaration. In most cases your Freight Forwarder or Customs broker will make a SAC declaration on your behalf on a fee for service basis. All goods imported into Australia by sea, air or post with a customs value that exceeds $1000.00 must be cleared by submitting a completed import declaration form (B650) and paying duty, goods and services tax (GST) and other taxes and charges that apply. The owner of imported goods is required to make an import declaration. According to Customs law, an owner of imported goods may be the importer, someone who holds themselves out to be the owner, someone who has a beneficial interest in the goods or someone who has control of the goods. We recommend the use of a qualified Customs clearance broker as they are familiar with the sometimes complex duty rates and or restrictions applicable to imported cargo .Our customs brokers evaluate over 13,000 tariffs and 4,000 concessions to provide a professional customs clearance service. Are- Worldwide licensed Customs Brokers? Yes - World Wide are currently licensed by the Australian Customs Service as an Australian Customs Broker since 1982. Customs manages a range of programs to support the local industry. One of those, the Tariff Concession System, may affect you if you are an Australian importer or local manufacturer. How does the Tariff Concession System work? Under this System, a Tariff Concession Order (TCO) will be granted on imported goods if substitutable goods were not produced in Australia at the time the TCO application was lodged. Substitutable goods are Australian made goods which have a use corresponding to a use of the imported goods. How do I apply for a TCO? If you are applying for a TCO for imported goods, you must lodge an application on the approved form, and complete all information required on the form. This is important as failure to meet all the requirements outlined in the form may result in delays or even rejection of the application. The form is available from Customs offices. How quickly will my application for a TCO be processed? Customs must screen the application to ensure that it is valid and, if acceptable, arrange within 28 days of receipt for details to be publicly notified in the Commonwealth of Australia Tariff Concessions Gazette. Customs is then required to make decisions on each application within 150 days from the date of gazettal. Because of this strict time frame, it is important that you provide all information on time as late replies cannot be considered in the final decision. When will my TCO come into effect? When a TCO is granted, it comes into effect on the date the application was first received by Customs. This means that all goods covered by the TCO and entered for home consumption on or after that date will be eligible for the concession.